In response to unsubstantiated, or at best barely substantiated media reports of an increase in violence in the Melbourne CDB since the introduction in June this year of his controversial 2am nightclub lock out scheme, Premier John Brumby this weekend launched a string of new measures to replace the lock out. Mr. Brumby stresses the highlight of his new initiatives is a 'time-out zone,' whereby those who might previously have been taken into police custody on the grounds of public drunkenness will now be escorted to the time-out zone, presumably a supervised lounge area near St Paul's Cathedral. The lounge will serve hot drinks and biscuits to those deemed too intoxicated to travel safely, despite the popular myth that drinking coffee reduces the effects of alcohol having long ago been disproven. Melbourne's homeless are said to be outraged by the decision, and at the expense of the time-out zone. A man loitering outside Melbourne's Hosey's Tavern begging for change claimed to have never had a drink, and to have 'spent most nights lately in elevators that were left unlocked.' The man, who wished to be known only as 'Tony,' went on to say he had tried to ask for a cup of tea in the time-out zone on its first night of operation and was refused entry. 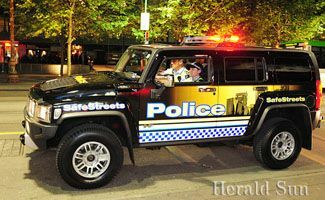 While the premier is focusing on the potential positive effects of the time-out zone, the public has been more captivated by the simultaneous introduction of a fleet of Hummer H3s purchased by the Victorian Police to combat drunken violence. 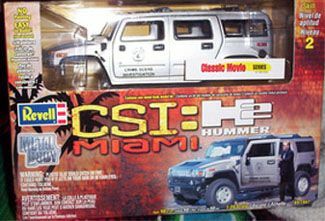 The Hummers, similar to those seen in television police series CSI: Miami, began their patrol of city streets last weekend. As a part of the $11 million State Government pledge, the vehicles will be fitted with CCTV cameras to discreetly capture the antics of city revellers and is sure to feature material worthy of reaching the heights of YouTube's Clip Of The Day.